Retail destinations – both on-and-offline – are changing. Now more than ever before, retail is being driven by customer insight. This is where Microsoft’s productivity revolution – driven by Microsoft Dynamics – excels. The big challenge of the 21st century, as this TED playlist summarises – and expands on – is the issue of data. There’s just too much of it. Now, humanity needs to find ways to sort it and take advantage of it. In the retail sector, this means using customer data – core audience demographics as well as shopping preferences – to provide a more tailored shopping experience; one that is simpler and technologically more attractive to the end user. A great example of this is Microsoft’s Power BI that captures data from all channels to provide retailers with a comprehensive view of their business performance and enable them to be true data-driven organisations. In Dynamics AX, in-memory business intelligence (BI) provides real-time operational insights using customer data so employees can make informed decisions. And, with Azure Machine Learning, retailers can get predictions that will help anticipate customer needs – even pulling in external data sources, like weather forecasts or local events, to help improve the analysis. Ultimately, it’s changes like these that will improve the performance of the retailers and drive profitability, but it’s also what will improve customer experience. Improving experience of the end user – the customer, in a retail situation – is at the core of everything that Microsoft does. Gone are the days where retailers – big or small – have to estimate the popularity of an item of stock. Now, retailers have full insight as to what to buy in, when, and where to place it. The Catalogue Manager in the latest Dynamics AX allows retailers to create product catalogues and categorisation schemes that can be targeted or shared between channels. With Microsoft’s category management tools, merchandise can be centrally managed, from manufacturing to order fulfilment. It’s tools like these that provide the insight that will help individual retailers stand above their competition by offering outstanding experiences to customers. 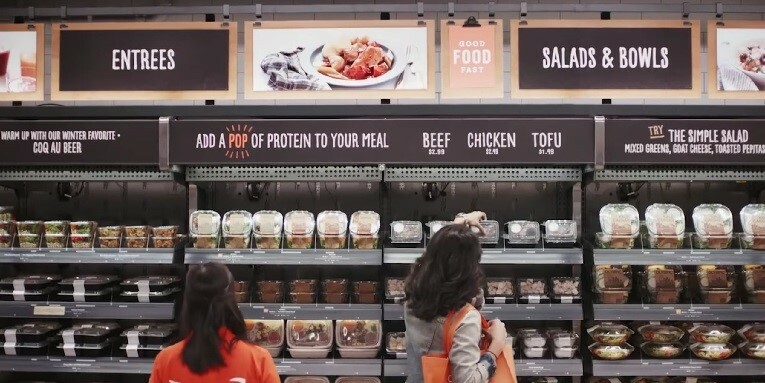 This week, Amazon broke the news that they would be launching a checkout-free grocery store, where all customers need is the Amazon Go app. Systems like these put the user right at the centre of the shopping experience, and enable Amazon to gather more and more insight about their customers’ shopping preferences. With BI, CRM, ERP and other IoT technologies at the heart of futuristic experiences like these, it’s clear that there’s a growing space for Dynamics professionals outside of traditional corporate business environments. Contact our US and UK-focussed teams on +1 646 202 1761 and +44 (0)1483 233 000 respectively, or search for a role directly here.